Ufone valued customers can check their 3G handset compatibility by just typing “3G” and sending it to 5544. Ufone customers can also check the availability of 3G service in their area by dialing *3344#. 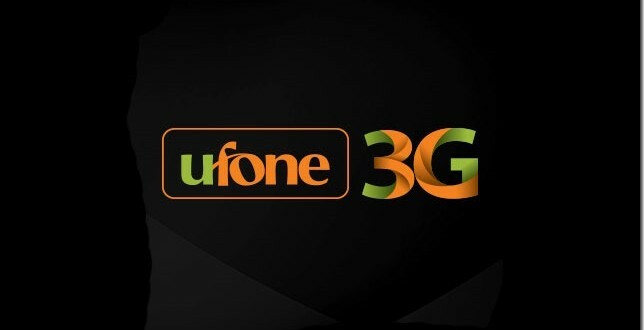 Pakistan biggest telecom operator Ufone has started providing free 3G services in Sialkot. Ufone has recently obtained the 3G license in the auction of 3G and 4G licenses organized by Pakistan Telecommunication Authority (PTA). Ufone is the only telecom operator who is going to provide 3G services in Sialkot, which is also known as the city of Shaheen's. Ufone has already launched its free 3G services in Karachi, Lahore, Islamabad, Rawalpindi, Gujranwala, Multan, Peshawar and Faisalabad. Ufone has also launched commercial details of its 3G services in some of the above-mentioned cities.